The 2016 Nissan Sentra offers up everything (and more) that you’d hope to find in a compact sedan in its price range. After its mid-cycle refresh, the latest edition of the popular Nissan Sentra is showing off some serious growth in terms of design, engineering and drivability. This new 2016 Nissan Sentra model is sure to dazzle fans of the Sentra as well as bring in a whole new host of admirers. 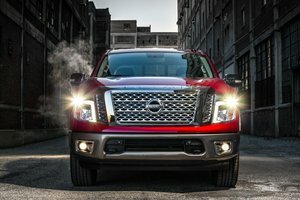 That old saying; “if it ain’t broke don’t fix it” obviously didn’t fly with Nissan engineers because they chose to update an already well-liked and popular model. But what exactly did they change on the 2016 Sentra? For starters, they gave the sedan an all-new exterior look that’s much more in line with the aesthetic of the rest of the Nissan lineup, as it now sports the manufacturer’s “V-Motion” front fascia. The Sentra now fits in nicely next to the all-new Murano, Altima, and Maxima. Along with the new V-Motion front grille, Nissan also added standard LED headlights (on SR and SL models only). 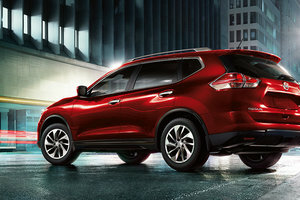 Head to the back of the car and you’ll be greeted with an all-new rear with updated headlights. This is no longer a sedan that will blend in with the masses. Instead, the 2016 Nissan Sentra is going to garner some serious attention on the road with its all-new sheet metal exterior and revamped looks. 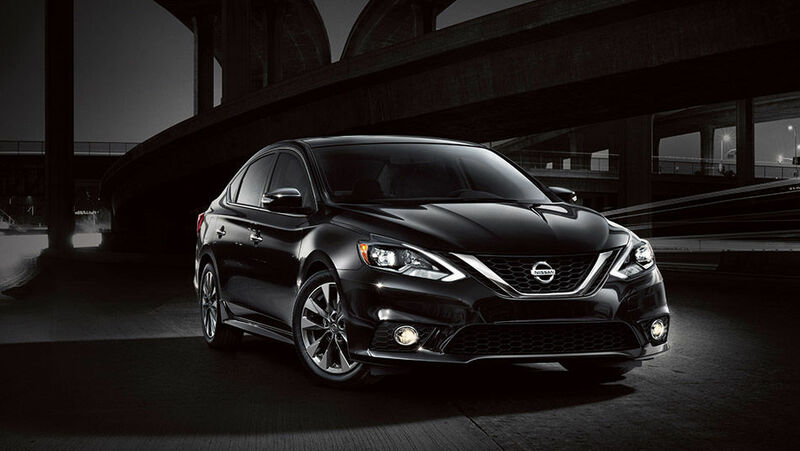 The 2016 Nissan Sentra participates in a segment with some seriously big players, but this latest iteration of an already-popular model has really stepped up its game and will rise to the top position thanks to dashing new looks, dazzling tech features, and great drivability. Under the newly designed hood, you’ll still find the outgoing model’s 1.8L 4-cylinder mill; and that’s just fine because it pushes out a more-than-adequate 130 horsepower and 120 lb-ft of torque. You’ll find a 6-speed manual as standard equipment, however, there’s also an Xtronic CVT available. Power is sent to the front wheels across all models. Inside the 2016 Nissan Sentra is where the majority of changes took place for this mid-cycle update. Nissan’s now offering Apple’s Siri connect in the Sentra for the first time, along with NissanConnect and the many features and apps it offers. This system can connect effortlessly to your smartphone, which then allows the car to read your text messages, set reminders, make calls, and more. With an all-new exterior look, a nicely updated and refreshing interior with just the right amount of technological updates, the 2016 Nissan Sentra offers up everything (and more) that you’d hope to find in a compact sedan in its price range. The Nissan Sentra offers quality and longevity, and is the ideal choice for small families or urbanites looking for an easy to drive everyday vehicle. 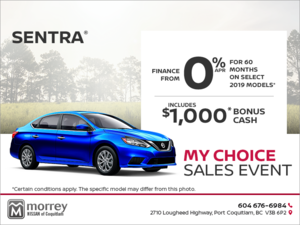 To find out more about the brand new 2016 Nissan Sentra, head down to your local Morrey Nissan of Burnaby dealer today to speak to one of our experts, and don’t forget to book a test drive, too. Newsletter Be the first to be informed about Morrey Autogroup's news & events.